Berlin on Tuesday ruled out any state aid for airline Germania, after the firm declared bankruptcy and cancelled all flights with immediate effect. "This is a case for the market economy," Economy Minister Peter Altmaier said, adding that the government had "no concrete plan" to support Germania. "If the state gets involved by helping some companies and not others, it would have a considerable cost to the economy," he added. The airline with 37 aircraft had flown mainly Mediterranean, North African and Middle Eastern holiday routes for German sun-seekers on package trips, and said it transported over four million passengers a year. "Unfortunately, we ultimately failed to successfully complete our financing efforts to meet short-term liquidity needs," said managing director Karsten Balke in a statement. "We very much regret that, as a consequence, we had no choice but to file for bankruptcy." The company blamed "unforeseen developments" for its cash shortage such as "steep kerosene price increases over the summer of last year with a simultaneous fall of the euro against the US dollar" as well as a high number of technical services required by its fleet of aircraft. Balke said that "we especially regret the impact that this step has on our employees", who had done their best to ensure reliable and stable flight operations. Service workers' union Verdi said in a statement it would provide legal support to the Germania workers. "The crews have shown total commitment despite the turbulence and should not be left to fend for themselves," board member Christine Behle said. The ailing company, which had reported financial woes on January, said it had filed for bankruptcy with a Berlin court late Monday and that all flights were halted overnight. Affected passengers who booked as part of a package holiday were told to contact their tour operator for replacement flights. 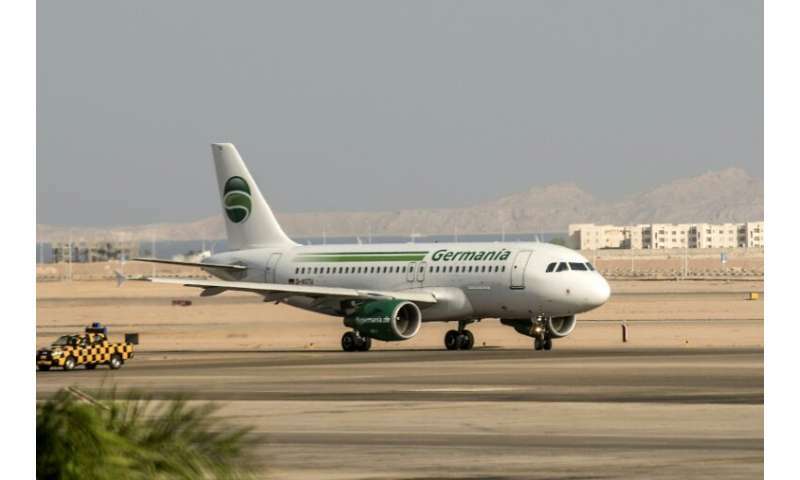 "Regrettably, for passengers who purchased their ticket directly from Germania, there is no entitlement to replacement transport due to the current legal situation," the airline said. The company's subsidiaries Swiss Germania Flug AG and Bulgarian Eagle were not affected, the statement said. However, dominant German airline Lufthansa said it would offer "favourable conditions" for Germania passengers to re-book their flights, including with subsidiaries Swiss, Austrian Airlines or Eurowings. The small carrier's bankruptcy comes after Air Berlin, formerly Germany's second-largest airline, went bust in 2017 after shareholder Etihad Airways withdrew funding following years of losses.